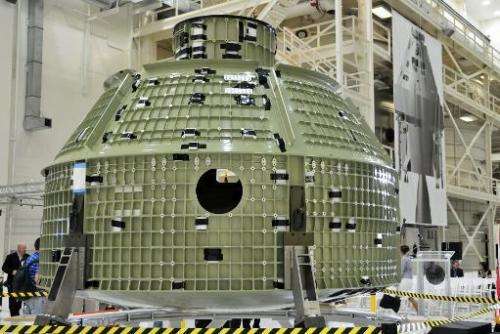 The first test mission of a new deep space capsule that could one day take humans to Mars is on track for September 2014, the US space agency said Tuesday. Orion aims to replace US capacity to reach space—which ended with the retirement of the space shuttle program closed in 2011 after 30 years—and ferry astronauts farther in the solar system than ever before. 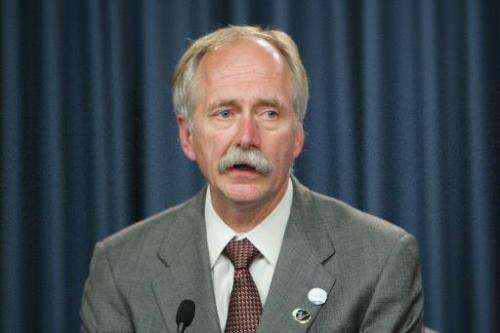 Bill Gerstenmaier, NASA associate administrator for human exploration and operations, said the project has made "tremendous progress." NASA has described Orion as "a flexible system that can to launch crew and cargo missions, extend human presence beyond low-Earth orbit, and enable new missions of exploration throughout our solar system." Orion will not carry humans on board until 2021 at the earliest. Its four-hour test flight next year will launch from Cape Canaveral in Florida. After that, the unmanned craft is to make two orbits around the Earth, traveling at a distance of 3,600 miles (5,800 kilometers) above Earth's surface, and then plunge back into Earth's atmosphere at high speed. The test tour will take it 15 times farther than the International Space Station's orbit around the globe. The flight aims to test the vehicle's thermal heat shield as it plunges through temperatures of 4,000 Fahrenheit (2,200 Celsius), and see how well the nearly nine-ton spacecraft splashes down in the Pacific Ocean off California. However, the Delta IV heavy rocket that will launch the spacecraft is not yet ready. Gerstenmaier said the space launch system (SLS) is 70 percent complete and again cited "tremendous progress" on the project. Orion's next space mission—a spin around the Moon—is set for 2017. While no crew will be on board, the test run aims to orbit the Moon at a height of 75,000 kilometers (46,600 miles) for three weeks, he said. Gerstenmaier described this as "a stable orbit" in which an object could remain "for 100 years without any altitude adjustment." Indeed, plans for the future include placing a 500-ton asteroid in the lunar orbit so that Orion crews could visit it, perhaps in the 2020s. "We are going to take this capsule into that region around the Moon and see how we can actually use lunar gravity to get in this orbit and get out of this orbit and return back to the Earth," he said.